Children are naturally excited upon receiving gifts. There is nothing as pleasing than the look of pure joy on a child’s face when he or she gets a gift. While a child may not necessarily appreciate the cost of a gift, that does not stop parents with deep pockets from bestowing their little ones with the most outrageous gifts. Take a look at some of the most expensive gifts that have been and can be gifted to the little ones. That’s a whopping price, seeming fit enough for a large playhouse your child’s size. 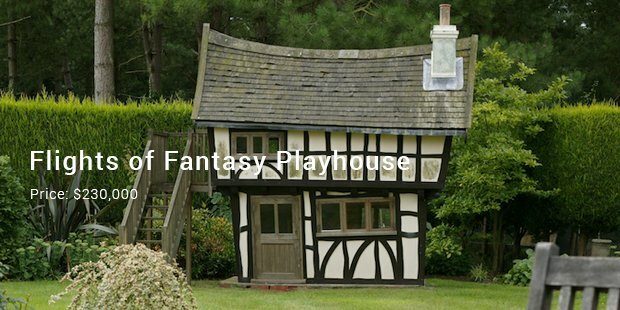 The exclusive Flights of Fantasy playhouse may put a large hole in your pocket, but it is every bit a dream come true house for kids who are dreamers and seek their own playing space. 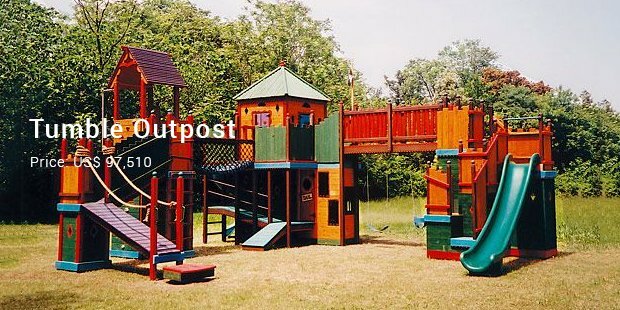 A huge play area that is guaranteed to keep children occupied for hours outdoors, the Tumble Outpost is every child’s delight. It has a fire pole, double rock-climbing walls, a lookout tower, and a small play area. In addition, it also has a slide. 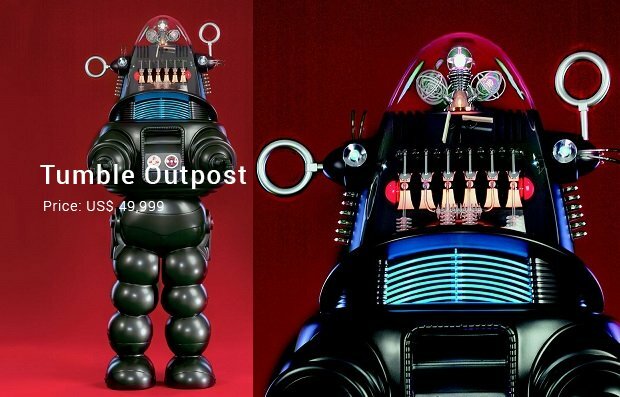 If your house has a garden big enough to house the Outpost, then this is a good, albeit very expensive gift for your child. Yes, you have heard it right. If your kid loves robots and often visualizes operating and interacting with one, there is no better gift than this seven feet long Robot. With super gizmo features and consoles, we are pretty sure that kids will love to take one home and own him up. Your child can learn how to drive at a very young age with this vehicle. It comes equipped with a functional radio and adjustable leather seats. 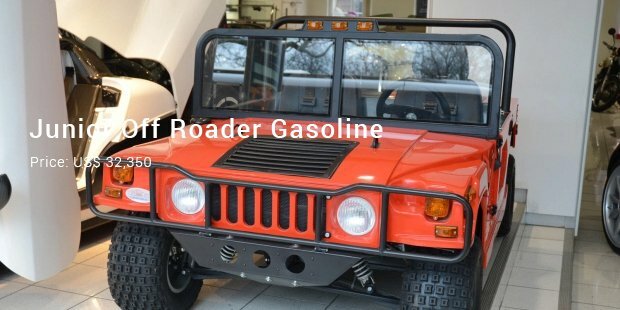 Off Roader Gasoline Vehicle is suitable for children of most ages. This immensely popular sphere is an indulge for the rich. 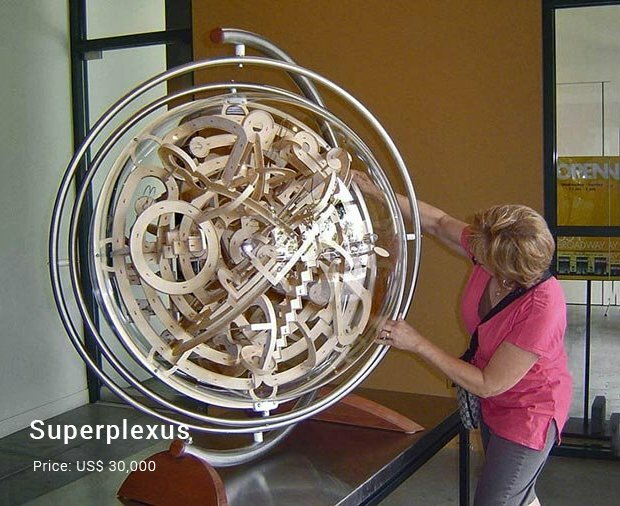 Built with an in-built marble to guide through a complicated wooden track, the luxurious Superplexus is for the young explorers. Thirty grand no big deal? Then go for it. 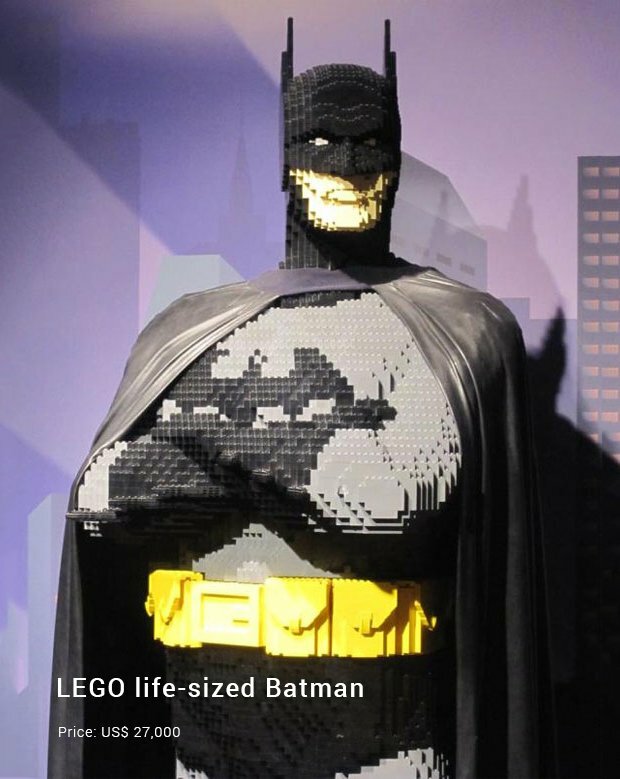 If your child is a superhero fan, there’s no better gift that the LEGO life-sized Batman. Standing tall at 6 feet 6 inches, this toy only has 3 separate parts that need to be assembled. Is your child crazy about cars? Particularly something like Ferrari? Look no further if you can afford it. 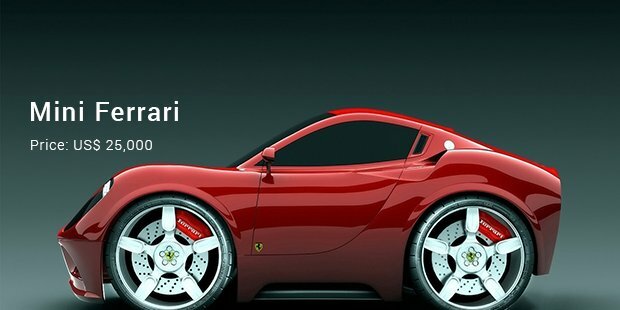 Indulge him or her with this mini-Ferrari. The toy car is big enough for a kid to ride in. Themed playhouses are in! 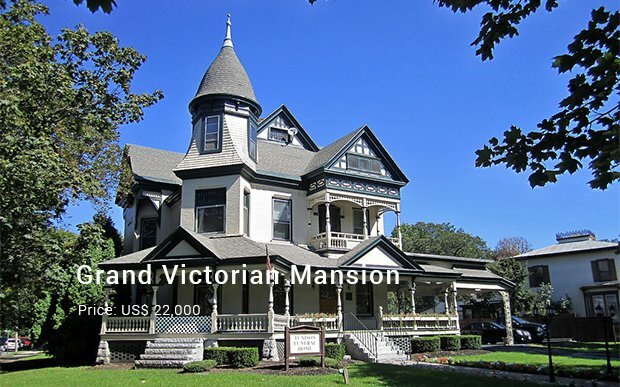 This Victorian mini-mansion has window boxes, a brass knocker, a skylight, a stained-glass window, a doorbell, and a wraparound porch. Inside, the walls are sponge painted, and there is a fireplace mantel and a loft along with hardwood floors. The loft can be accessed using a ladder. Who does not like to have their fortune told? The future holds immense mysteries for us. Zoltar the fortune teller offers 16 different spoken fortunes and 23 printed fortunes. Zoltar also nods his head, apart from making other head movements. Young boys and girls go ga-ga over the Legos. 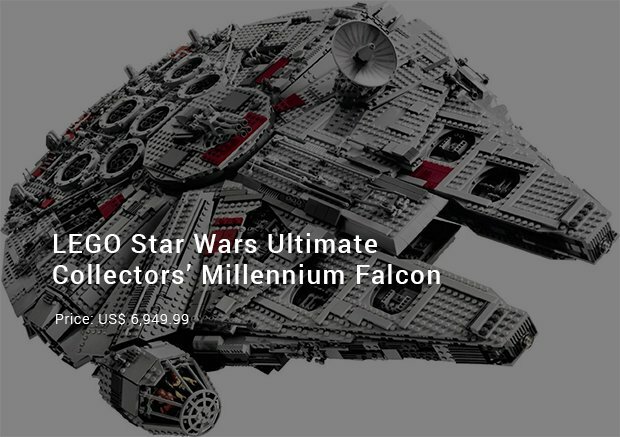 A collectors’ edition toy, this offering from LEGO will surely blow your child’s mind away. 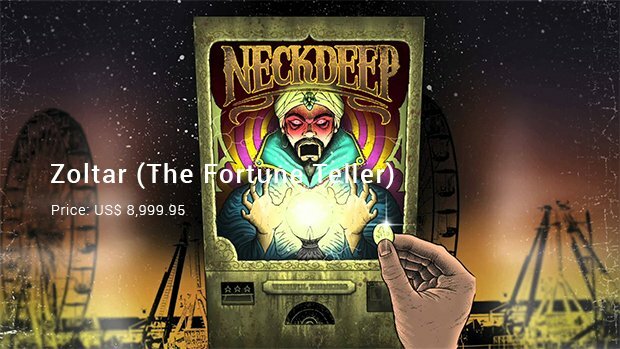 Should you have enough money to be able to afford this pricey gift, we recommend that you should definitely go for it. If you’re lucky enough to be able to afford these fabulous gifts for your child, we’re sure you’ll find something that you really like from this list. Found in gaming arcades, children love this racing game. Bring one home for your child and watch him enjoy the comfortable seating. 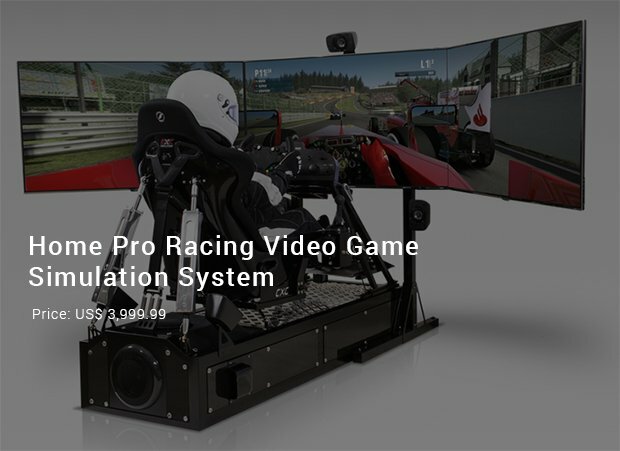 The system has a steering wheel, pedals, 3 speakers in front, and several speakers at the back to experience some live action in progress.